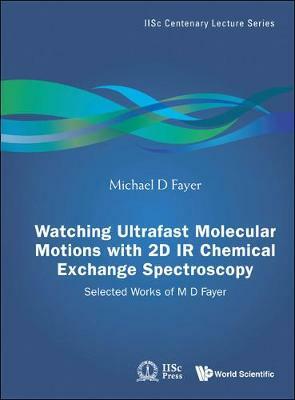 This unique volume presents a comprehensive but accessible introduction to the field of ultrafast two-dimension infrared (2D IR) vibrational echo spectroscopy based on the pioneering work of Professor Michael D Fayer, Department of Chemistry, Stanford University, USA. It contains in one place a qualitative introduction to the field of 2D IR spectroscopy and a comprehensive set of scientific papers that underlie the qualitative discussion. The introductory material contains several detailed illustrations, and is based on the Centenary Lecture at the Indian Institute of Science given by Professor Fayer July 16, 2008 as part of the celebration of the 100th anniversary of the founding of IIS in Bangalore, India. The second part of the volume contains reprints of Fayer's relevant papers. The compilation will be very useful because it presents the historical background, motivation, methodology, and experimental results at a level that is accessible to the non-expert. The reprints of the scientific papers, from review articles to detailed theoretical papers, provide rigorous supporting material so that the reader can delve as deeply as desired into the subject.